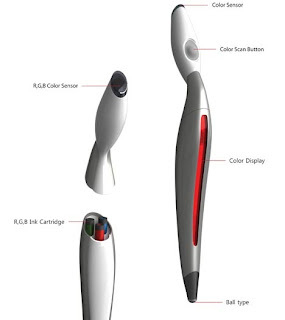 Products Designer blog by Mindsparkz: A magic pen! This pen is incredibly clever with its ability to scan in a colour. Not only does it do this but it can then mix its three colour cartridges to create the same colour. Impressive, right? As a designer I am always using colour, and I know from experience it is really hard to sometimes create the exact same colour as what I see. Hours spent mixing paint to the perfect hue no longer needs to be spent! 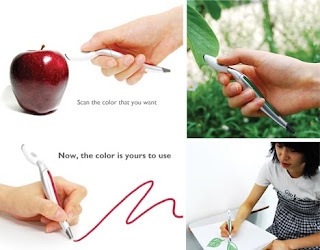 All you need to do now is scan an item with the top of your pen. The colour is then displayed digitally and the colour is mixed with its three cartridges. Another great thing about this pen is also its size. It is so compact that you can just bring this anywhere and have any colour. 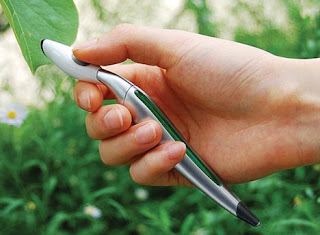 Carrying a pen in your pocket is considerably better than carrying a pack of 50 pens in your rucksack! As impressive and useful as this is, I personally think great art has a lot to do with the artist creating an impression of what they see before them. If every artist had this tool I think that the art world would be significantly different! Well done for Jinsun Park for inventing this! 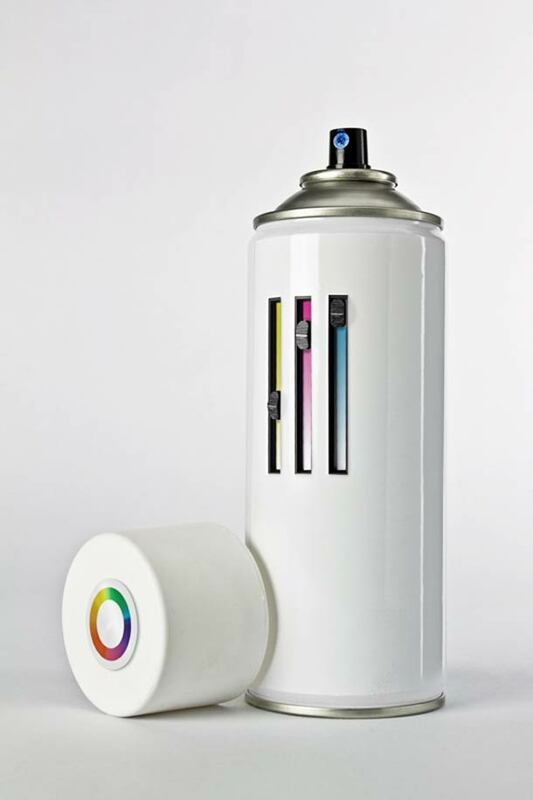 This spraypaint bottle has a pretty similar idea behind it in the sense that you have three different cartridges. I like this idea alot as you can change the amount of each cartridge to get your desired hue.